I’ve seen lots of rainwater harvesting systems which use anything from modified trash cans to expensive designer wooden rain barrels. Regardless of what approach you are going with, here are some tips for choosing rainwater barrels to make sure you get ones right for your goals. It is commendable that you might want to start with a massive 1000+ gallon rainwater harvesting system. That’s fine if you are ready to hire a contractor to design and install the system. 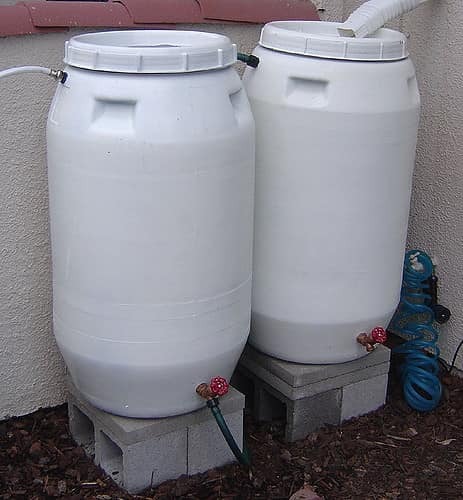 However, if you are the DIY type, start small with just one or two 55 gallon rainwater barrels. 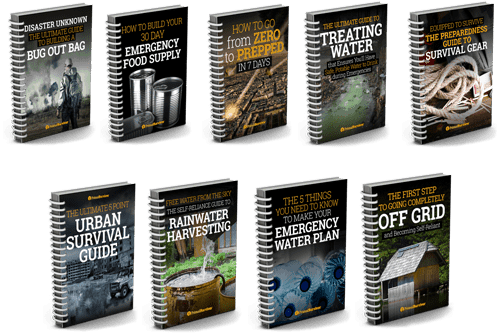 By starting out small, you can slowly introduce yourself to rainwater systems. If a mistake is made (such as putting the barrels in the wrong location), it won’t be such a big deal to fix the mistake. If you do things right, you can always expand on your DIY rainwater harvesting system by connecting more barrels. While wood and terracotta do look the most attractive, they are also the heaviest, most expensive, and most difficult to clean. Concrete doesn’t really have any benefits other than you can pour it yourself. For most homeowners, plastic rainwater barrels are the best choice. They are cheap and you might even be able to find recycled barrels. Just make sure they are food grade plastic. 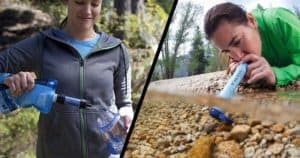 Sure, you might be able to get away with using plastic trash cans for collecting rainwater – but they might crack from the pressure of the water when filled and also leach chemicals into your water! Trashcans can be used as rainwater barrels, just be warned that they crack easily! Pretty much all rainwater barrels you buy will have a secure, removable lid. If you are salvaging recycled barrels for rainwater harvesting, you might find some that don’t have lids. Avoid using these! If you can’t completely remove the lid, it is going to be really difficult to add connections. Cleaning the barrels will also be a big hassle. 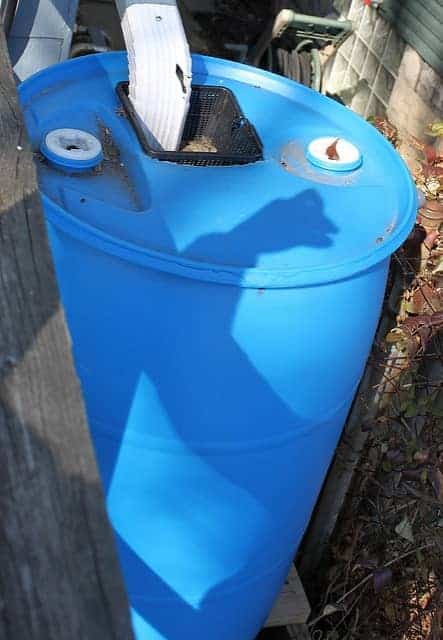 Ever wonder why most rainwater barrels are blue or brown? It is because they protect against UV rays, which helps prevent the growth of algae. 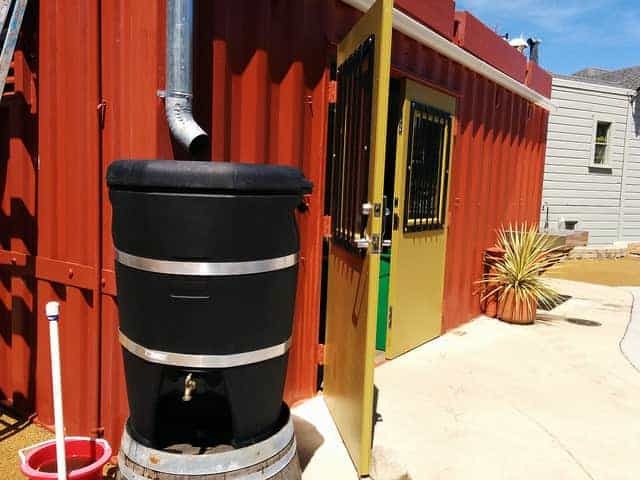 Readymade rainwater barrels are pricier, but they come with all of the connectors, drain spigots, overflow holes, catchment holes, and equipment attached. You just need to hook them up to your conveyance system (aka gutters). While readymade rainwater barrels are easier, they aren’t always the best choice. Some have very small overflow holes. If the hole is too small, it could cause water to back up in your gutters and damage your home! If you have the right tools, making your own rainwater barrels isn’t too difficult and it allows you to customize them to fit the size of your roof and catchment. 6. Do You Want to Be Able to Dunk a Bucket into the Rainwater Barrel? Here’s something that a lot of people overlook when choosing rainwater barrels. Some rainwater barrel systems have overflow PVC tubing inside of them. 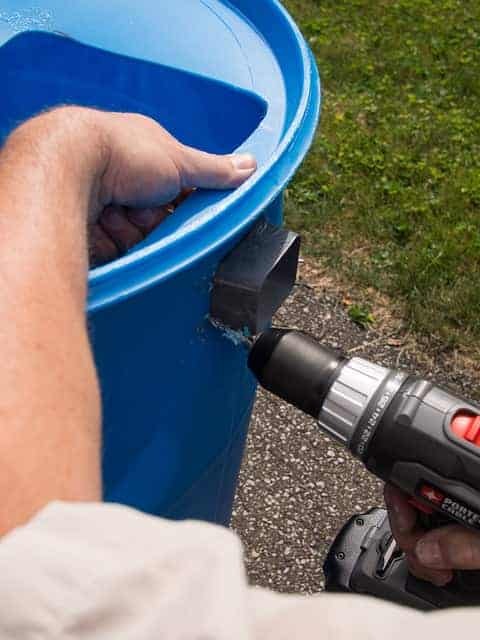 This is generally more effective than a small overflow hole on the side of the barrel – but it will also prevent you from being able to dunk a bucket into the barrel. 7. 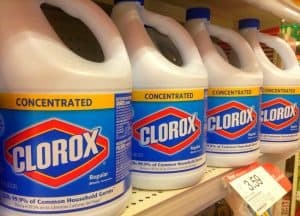 You Probably Need a Drain Faucet AND a Source Faucet!!! Rainwater barrels always need to have a drain spout near the bottom. This is where you will drain water from them when cleaning them yearly. Keep in mind that sludge and sediment can build up at the bottom of the rainwater barrel. That is why better-designed rainwater barrels will have a separate faucet higher up. This faucet is for the water you actually want to use. *If you only use one outflow faucet, it must be at least 4 inches above the bottom of the tank. 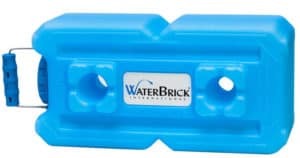 This will prevent the sludge from getting into your outflow pipe and potentially clogging it. You can’t see it very well in the pic, but this rainwater barrel has two faucets: one for use and one for drainage. 8. Don’t Forget About Vents! 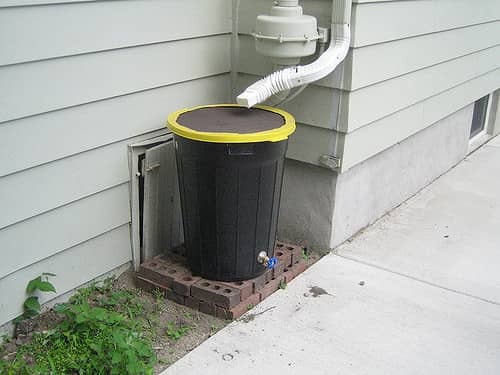 Rainwater barrels which have tight-fitting lids should also have air vents on the top of them. Why? Because when water exits the water barrel quickly, it can form a vacuum and damage the barrel! This is particularly a problem if the top filter is clogged so air can’t leave through there. The air vent can be a small pipe that pierces the lid. It must be covered by a screen to prevent insects and animals from getting through. Note the air vents on this rainwater barrel. If you have a choice, go with round rainwater barrels. The round shape helps disperse the pressure of the water better so they are less likely to crack. The round shape also makes them easier to clean because you don’t have sludge building up in the corners. 10. 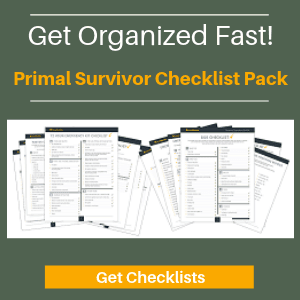 Do You Want to Hide Your Rainwater Barrels? A lot of people harvest rainwater as part of their disaster prepping plans, so they want to make sure their rainwater barrels are well hidden so no mobs of thirsty people attack them for the water! Harvesting rainwater is illegal in some places, so some people choose to hide their rainwater barrels to get around the law (I’m not encouraging this! Violate the law at your own risk! 😉 ). The easier option for hiding rainwater barrels is to put them in a shed or other structure. The other option is to install underground rainwater cisterns. Underground rainwater harvesting systems are more complex and you’ll need a pump to get the water out. The ground pressure also means you can’t use just any barrels – so make sure you are choosing the right rainwater barrels for what you need. Are you harvesting rainwater? What other tips would you add for choosing rain barrels? Let us know in the comments or join us in our Facebook group.